$75,000 IN GRANTS TO BE AWARDED TO FILMMAKERS! 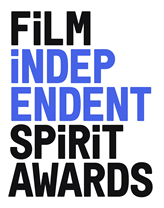 SPIRIT AWARDS TO BE BROADCAST LIVE EXCLUSIVELY ON IFC, SATURDAY, FEBRUARY 27, 2016 2:00 pm PT / 5:00 pm ET! "Carol", "Spotlight", "Beasts of No Nation", "James White", "Songs My Brothers Taught Me", "Tangerine", "Mediterranea" earn multiple nods! Film Independent, the nonprofit arts organization that produces the Film Independent Spirit Awards, the LA Film Festival and Film Independent at LACMA, announced on November 24, 2015 the nominations for the 2016 Spirit Awards this morning. Film Independent President Josh Welsh presided over the press conference held at W Hollywood, with actors John Boyega and Elizabeth Olsen presenting the nominations. "This year's nominees are a testament to the strength, vitality and diversity of independent, artist-driven filmmaking,” said Film Independent President Josh Welsh. “It’s an astonishingly strong group of films and performances this year and we look forward to celebrating them all at the Spirit Awards." "Spotlight" was selected to receive the Robert Altman Award, which is bestowed upon one film’s director, casting director and ensemble cast. The Altman Award was created in 2008 in honor of legendary director Robert Altman who was known for creating extraordinary ensemble casts. “Spotlight is a remarkable film that excels on every level, but the Nominating Committee thought it was especially deserving of the Robert Altman Award,” said Welsh. “The film is beautifully cast with every member of the ensemble working together to tell the story of the Boston Globe investigating allegations of abuse in the Catholic Church."